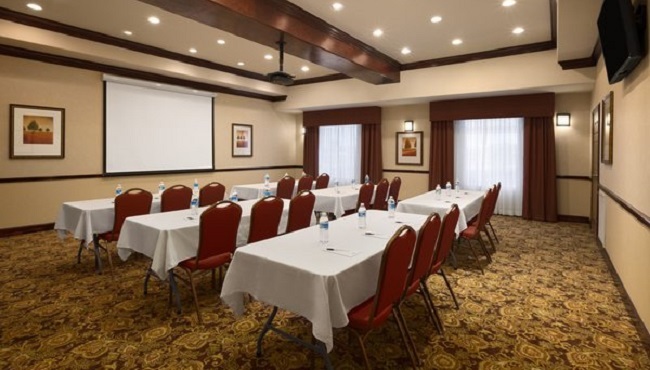 Host your next graduation party, business seminar or bridal shower in the flexible meeting space at the Country Inn & Suites, College Station, TX. 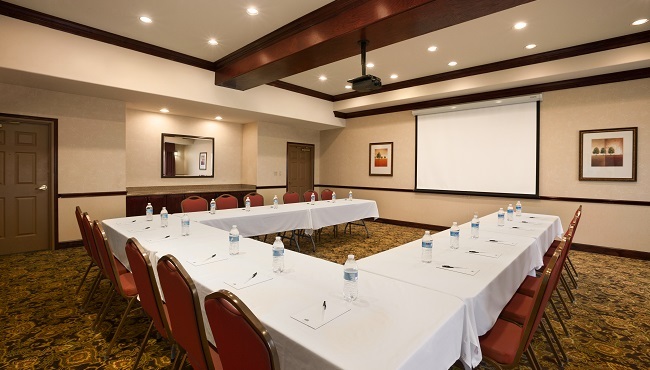 Our spacious room accommodates up to 60 guests and features a whiteboard and a screen for projecting slide presentations. Take advantage of additional amenities like complimentary water and coffee along with free high-speed Internet access to ensure your event is a success. Ask our friendly staff for event planning assistance and catering services.